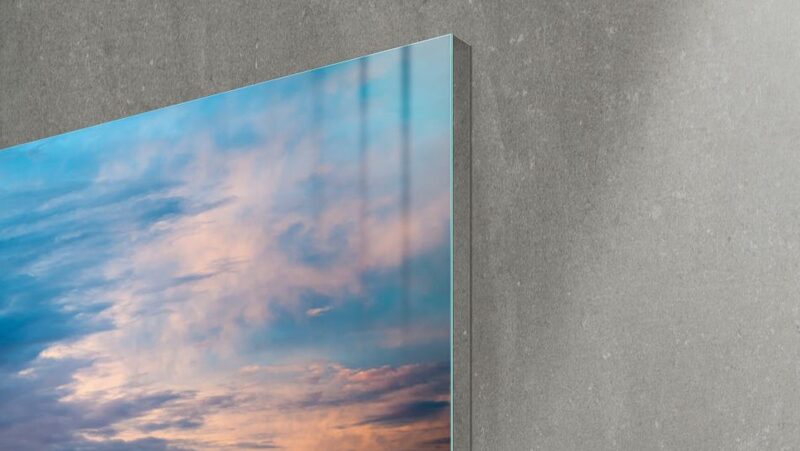 Samsung (Booth 15006) made a splash at CES this week with the announcement of “The Wall,” a self-emitting modular MicroLED TV technology that can be consumer-customized for any size, resolution, or form. Having revealed the first-ever modular TV, which has a 146-in. 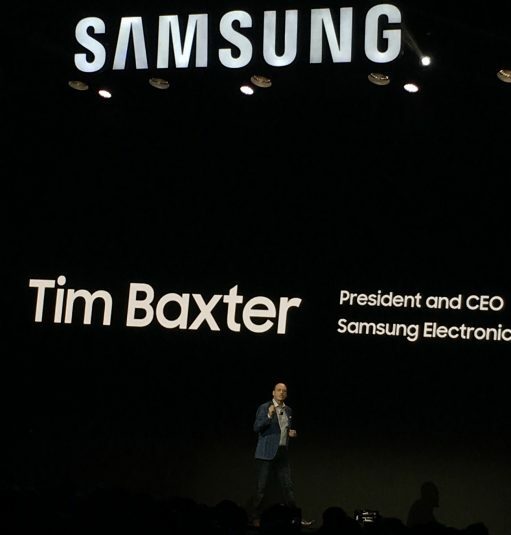 display, at the First Look CES event on Sunday, Samsung further detailed the new technology at its Monday press conference along with a host of announcements largely focused on its IoT strategy and how it plans to connect its full ecosystem of devices seamlessly in the future. 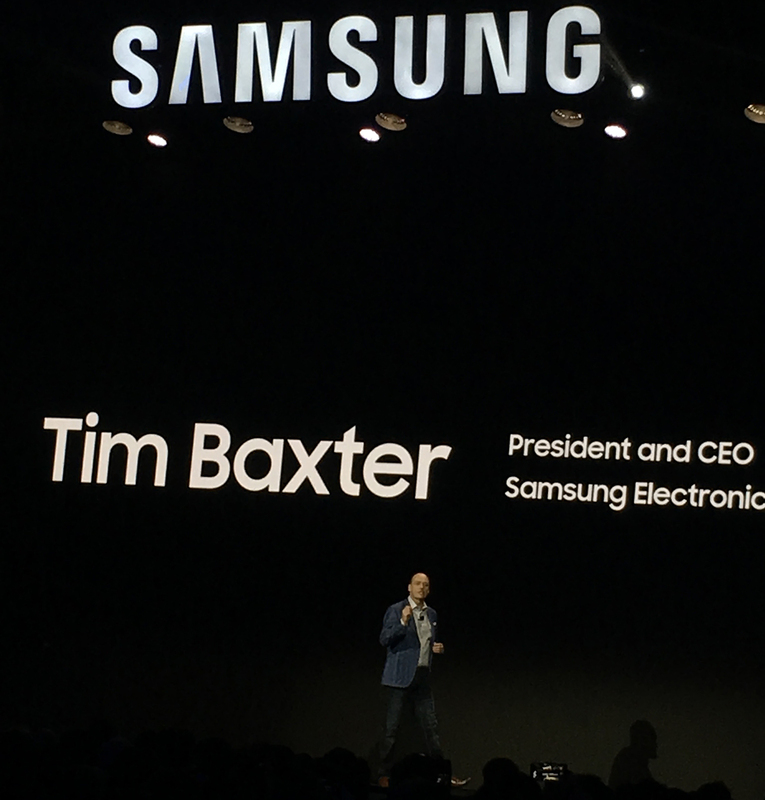 Samsung Electronics North America’s Tim Baxter hosted the company’s 2018 CES Press Conference. In addition to The Wall, other video-centric highlights at Samsung’s CES 2018 booth include a TV that upscales content to 8K resolution and a Smart TV platform with Bixby and SmartThings integration. Samsung’s new MicroLED self-emitting technology is not bound by restrictions on size, resolution, or form. It replaces color filters with µm-scale LEDs, which are much smaller than current LEDs and serve as their own source of light. Samsung is calling The Wall the world’s first modular MicroLED consumer TV. It can be customized for any size, resolution, or shape. Thanks to its module-based, bezel-less design, The Wall allows consumers to customize their television to the size and shape of their choice. The modular screen can be used to create a wall-sized display or simply to increase traditional screen size to suit a room in the home. Samsung did not provide information on official launch or pricing but hinted that the product will be launched sometime this year. Samsung is also featuring what it says is the world’s first QLED TV featuring 8K AI upscaling technology. The technology upscales standard-definition content to 8K by applying a proprietary algorithm to adjust screen resolution based on image-quality characteristics of each scene. This includes detail enhancement — upgrading SD content, noise reduction, edge-restoration function — which more clearly outlines on-screen objects. Automatic sound adjustment for different content, such as sports events or music concerts, will also be a feature. Featuring MicroLED and self-emitting technology, The Wall replaces color filters with µm-scale LEDs, which are much smaller than current LEDs and serve as their own source of light. An 85-in. 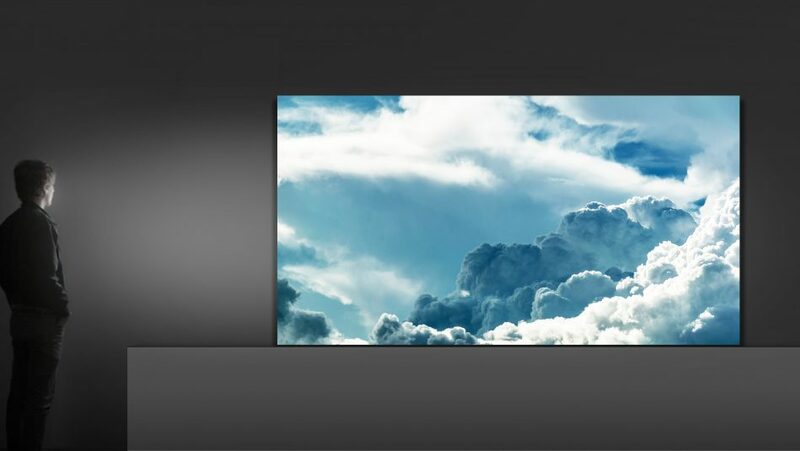 Q95 QLED 8K TV with the upscaling technology is featured at Samsung’s CES booth; its launch is planned for sometime this year at a price point to be determined. Samsung’s Bixby virtual-assistant technology and Smart Things IoT platform were prominent in the company’s TV-related announcements. It demonstrated how Bixby will enable easier interaction between the TV and consumer, thanks to the intuitive UX and voice-analysis capabilities in its sets to be released this year. SmartThings integration into 2018 Smart TVs will also offer easier sharing, connectivity, and an overall simplified way to control the television and sync with other devices. 2018 will also see the launch of Universal Guide, an advanced program guide that allows users to search for specific content across all apps and programs and automatically recommends TV content according to a user’s preferences. HDR10+ will play a major role at Samsung’s booth, the company having announced — along with fellow HDR10+ developers 20th Century Fox and Panasonic — that the open dynamic-metadata platform for HDR will soon be made available to content companies; manufacturers of UHD TVs, Blu-ray disc players/recorders, and set-top boxes; and system-on-a chip (SoC) vendors royalty-free with what they’re calling “only a nominal administrative fee.” Unveiled last year at IFA, the platform now has updates to its associated certification and logo program. Technical demonstrations of the technology are being offered at CES.